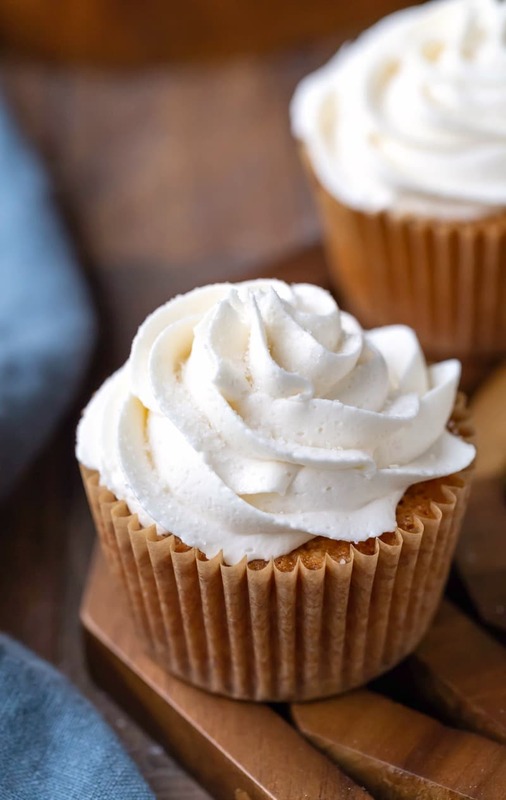 Homemade vanilla buttercream frosting recipe makes light & fluffy vanilla frosting! This easy vanilla frosting recipe takes just 5 minutes to make. 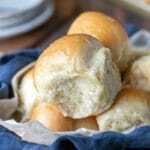 This recipe was born out of necessity. 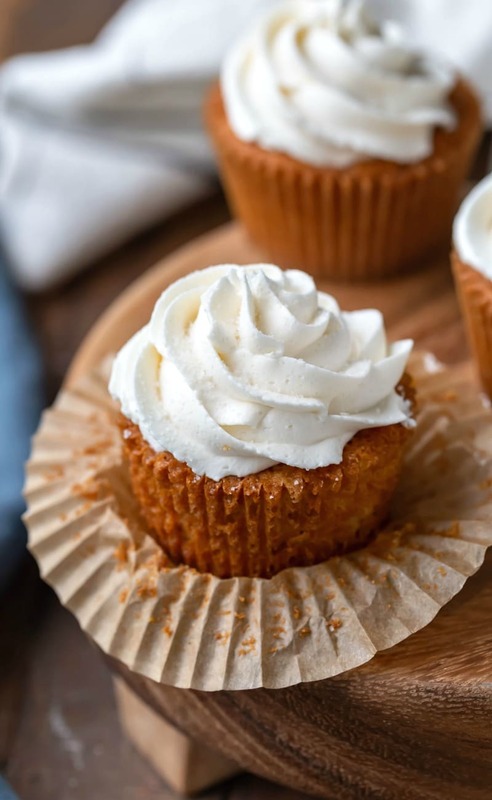 I have a whipped buttercream frosting recipe that I absolutely love. 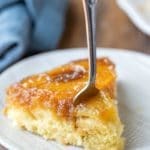 It’s light and fluffy and isn’t too sweet. It’s a fantastic frosting recipe. It’s also time-consuming. And sometimes I just don’t have the time to make it. That’s where this vanilla frosting comes in. It’s rich and creamy but still fluffy. It is sweet and rich without being heavy or greasy. This easy vanilla frosting is made with just 5 simple ingredients, and it only takes less than 10 minutes to whip up! This frosting is really simple to make! Just beat the butter, add in the powdered sugar and vanilla, and then add enough whipping cream to make it the proper consistency. There are a couple things that make a big difference. First, beating the butter before adding in the powdered sugar is key. Second, sifting the powdered sugar helps to remove any lumps and lets it really mix in well. Third, using heavy whipping cream in place of milk gives you a creamier frosting. You can, but the frosting won’t be as rich and creamy. 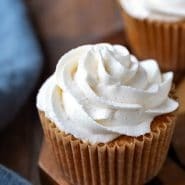 What type of vanilla should I use in vanilla frosting? That depends! I use pure vanilla extract because I’m not worried about getting the frosting as white as possible. However, if you want it to be whiter, use clear vanilla. 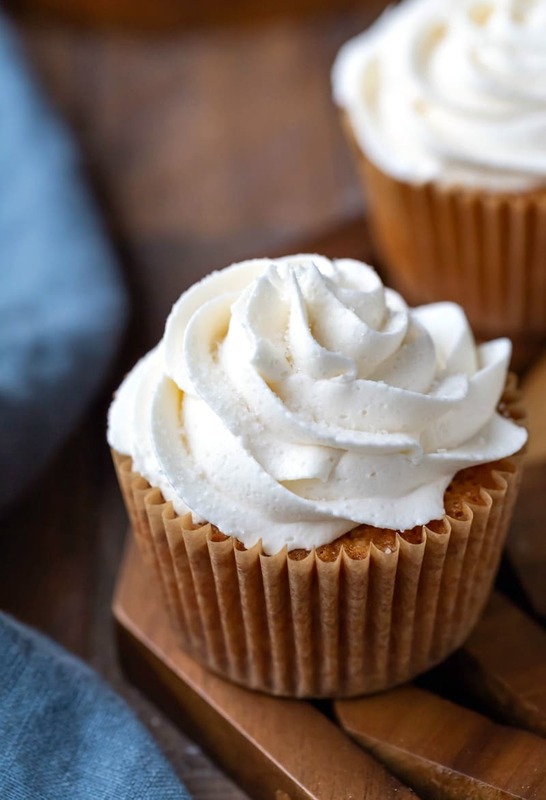 This vanilla frosting recipe will frost a 9×13-inch sheet cake or 24 cupcakes. If you are going to frost the top, middle, and sides of a 2-layer 9-inch round cake, I would either make 1.5 or 2 times the frosting. I recommend storing this frosting in the fridge. More of my favorite frosting recipes! 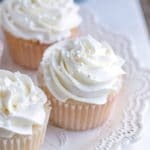 If you’ve tried this vanilla buttercream frosting recipe, don’t forget to rate the recipe and leave me a comment below. I love to hear from people who’ve made my recipes! You can SUBSCRIBE to receive my latest recipe newsletters or FOLLOW ME on FACEBOOK, INSTAGRAM and PINTEREST for even more delicious food. Beat butter with a mixer - hand or stand - on medium for 3 minutes. Add 3 cups of the powdered sugar 1/2 a cup at a time, and beat until well-combined. Add vanilla and a pinch of salt and beat until well-combined. Add 2 tablespoons cream, and beat until combined. If necessary, continue adding powdered sugar 1/4 cup at a time or cream 1 teaspoon at a time until you reach desired consistency. *If you want whiter frosting, use clear vanilla. For reference, I used pure vanilla extract. **You can use milk in place of cream, but the frosting won't be as rich and creamy. Does it freeze and defrost well on the cupcakes. I’m sorry, but I haven’t tried to freeze this frosting. I have some similar recipes, and I haven’t had any issues freezing/defrosting those frosting, but, unfortunately, I haven’t tried freezing this one. Are you able to decorate with this icing? I have Russian piping tools that I would like to use to decorate with. I haven’t tried to decorate with it beyond basic piping. I think it’s easy to work with, but I’m not sure how it will work with Russian piping tools. 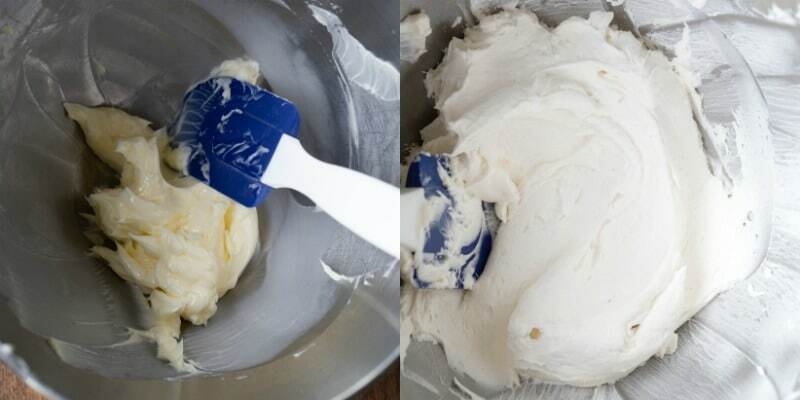 Very nice vanilla frosting recipe. This recipe is a keeper.